The song Robbie Williams - Hunting For You is professional recreation. It is not by the original artist. A Place To Crash Robbie Williams Your browser does not support the audio tag. Advertising Space Robbie Williams Your browser does not support the audio tag. All That I Want Robbie Williams Your browser does not support the audio tag. Angels Robbie Williams Your browser does not support the audio tag. Be a Boy Robbie Williams Your browser does not support the audio tag. Bodies Robbie Williams Your browser does not support the audio tag. Candy Robbie Williams Your browser does not support the audio tag. Come Undone Robbie Williams Your browser does not support the audio tag. Different Robbie Williams Your browser does not support the audio tag. Feel Robbie Williams Your browser does not support the audio tag. Ghosts Robbie Williams Your browser does not support the audio tag. Gospel Robbie Williams Your browser does not support the audio tag. Hey Wow Yeah Yeah Robbie Williams Your browser does not support the audio tag. Hot Fudge Robbie Williams Your browser does not support the audio tag. Hunting For You Robbie Williams Your browser does not support the audio tag. 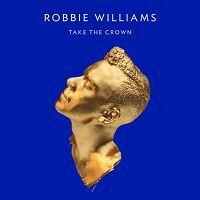 I Will Talk and Hollywood Will Listen Robbie Williams Your browser does not support the audio tag. Into the Silence Robbie Williams Your browser does not support the audio tag. Kiss Me Robbie Williams Your browser does not support the audio tag. Let Love Be Your Energy Robbie Williams Your browser does not support the audio tag.